The night lights over the door and in the parking lot have been burned out for several months. 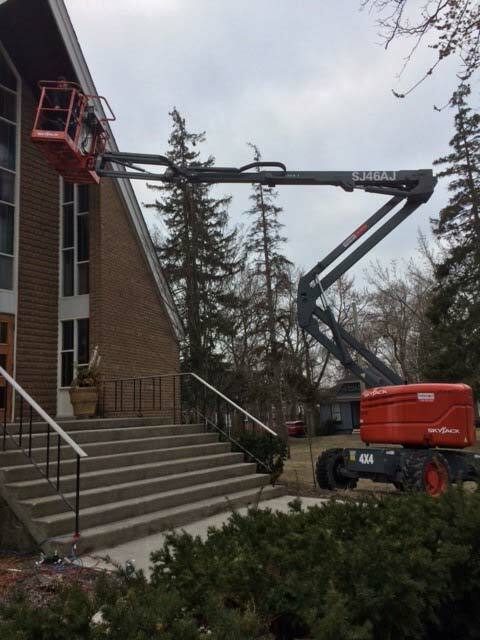 Thanks to Paul Zuschlag, who used a 45’ boom lift to reach the outside lights over the front door of the church and in the parking lot, our night lighting is now back in operation. Last Saturday Paul replaced all the old lights with LEDs that will reduce our future electricity and maintenance costs. The new lights should last more than 10 years.